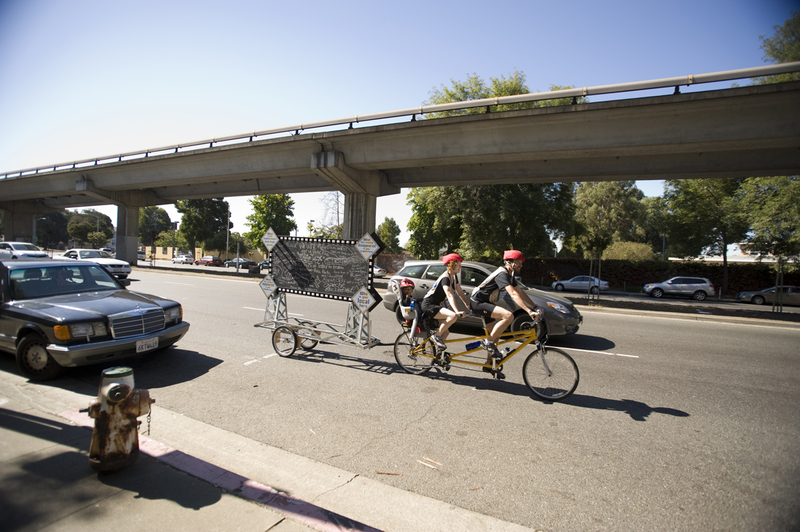 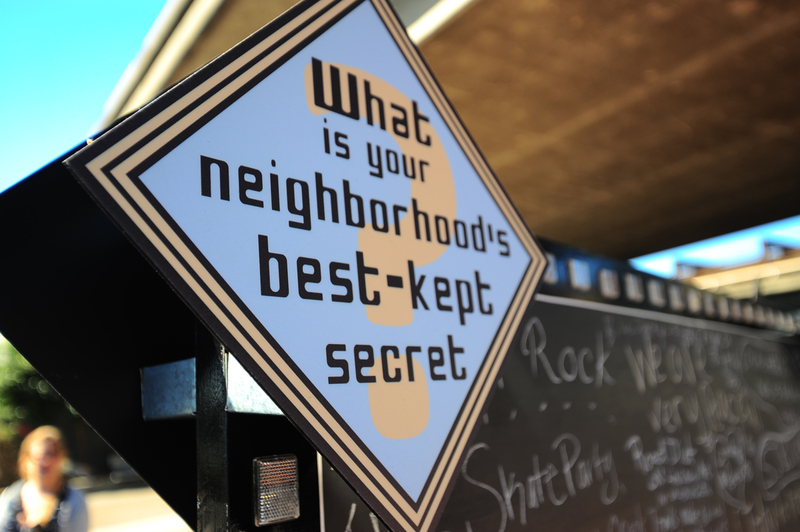 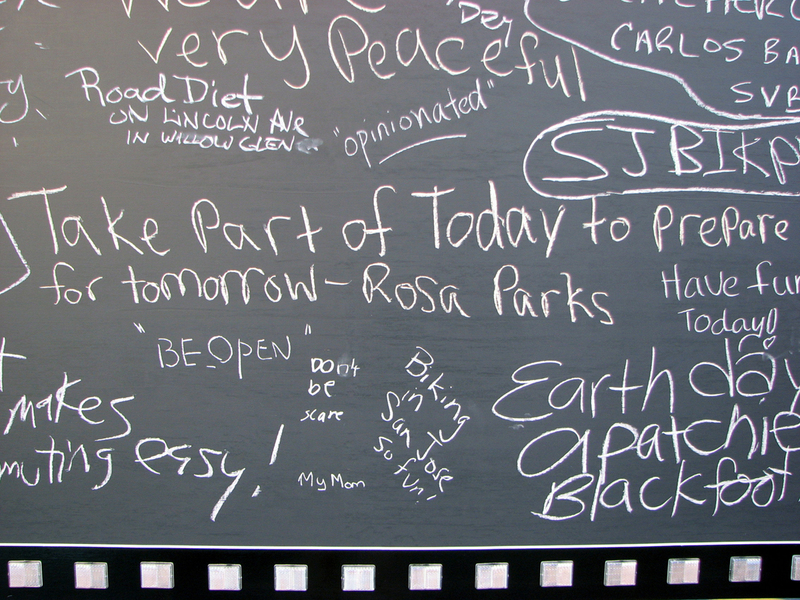 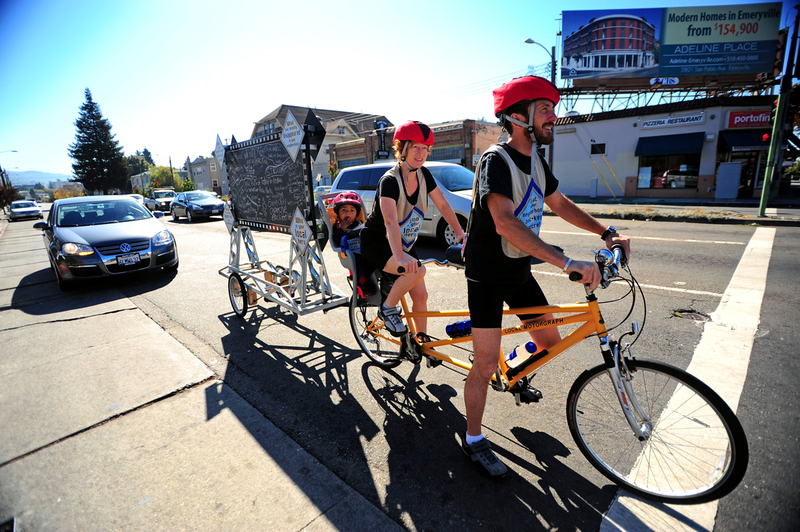 Mobile Messaging, an interactive community bulletin board towed by tandem bike, was part of San Jose's ZERO1 Biennial. 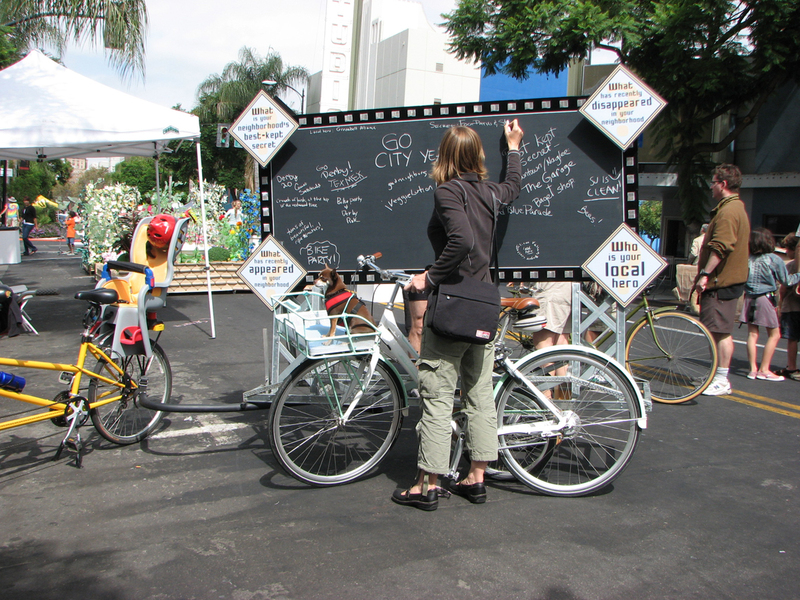 The board travels to public community spaces: transit hubs, plazas, parks and sidewalks. 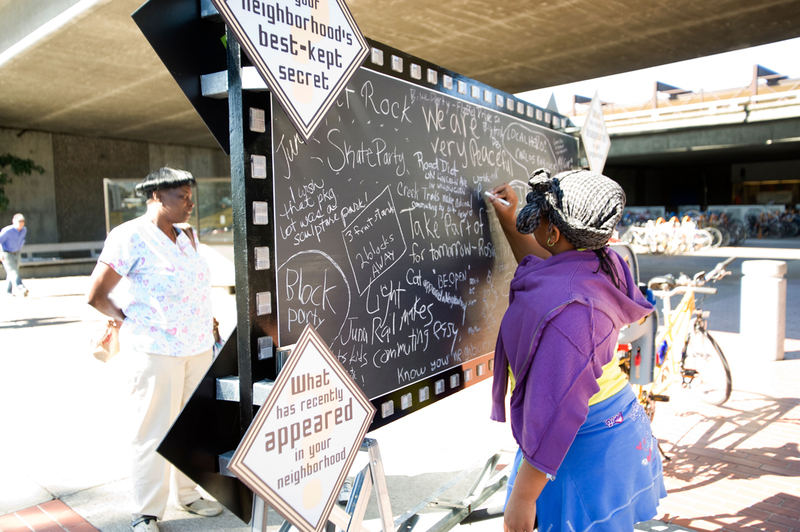 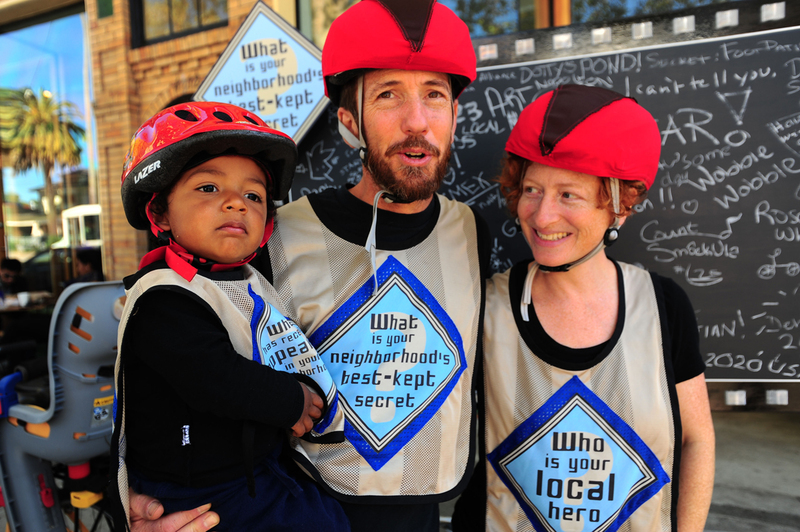 As a tribute to urban activist Jane Jacobs, Mobile Messaging invites community members write about local heroes, neighborhood history, and regional secrets to foster a sense of place. 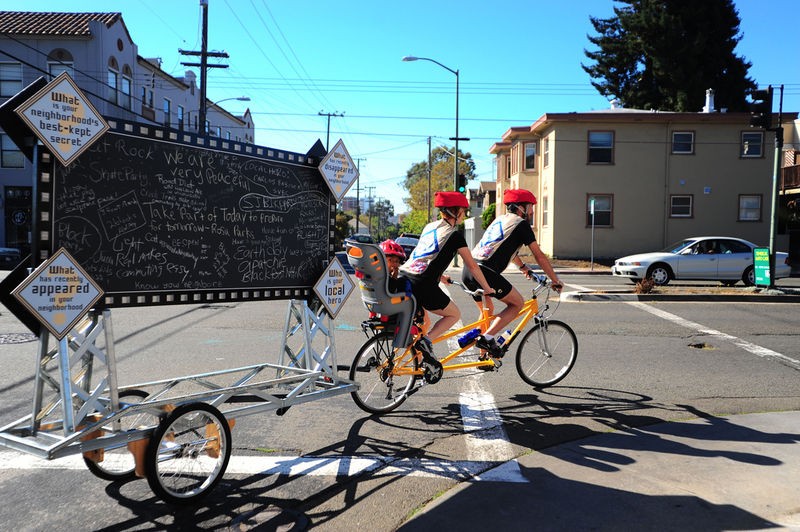 Uniforms and the billboard are made from re-used materials.